If you have ever felt the call to be around horses, this is a perfect place to come and be with nature and these amazing animals. The horses have an ability to know what you need without judgement or pretense. They see, sense and feel your energy and what is causing you to be in the state of pain. How do the horses help? The horses help you to see the patterns and issues that you may be unaware of, and that are making you feel stressed and unhappy. 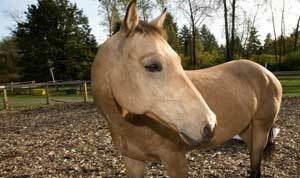 With the horses’ ability to mirror in a loving and supportive way, you will receive profound and lasting healing. As you change, the horses will reflect those changes immediately. Healing happens quickly and easily. We pretend with people all the time that we are “fine”, that we are not in pain. A horse can see how you are really feeling. The saying goes, “You can’t lie to a horse” and “A horse never lies”. Their ability to see the truth is quite powerful; it calls on you to be your true self. They want to bring out the light and love in you. Sometimes it’s easier to receive this information from a horse than a human. The horses help us to connect with the earth and to feel grounded and nurtured again. They inspire you to be the real you, to empower you to find the courage to let go of your pain and embrace a deep connection with your heart and soul.